Soon it will be Memorial Day, then Flag Day and then the Fourth of July! It’s time to get your flag! 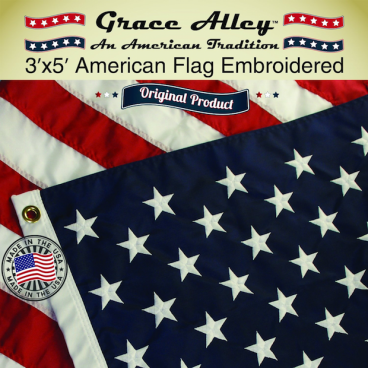 The Grace Alley American Made American Flag Is Only $28.62! This high quality flag is made of Durawavez Nylon to help withstand the harsh outdoors! With quality embroidered stars and stitched stripes, this American Flag is great for gifts, commercial or personal use. Fly your US flag proudly!